The small Italian village of Grinzane Cavour is located around its castle, showing up as a small agglomeration of nineteenth-century houses, in addition to the parish church dedicated to Maria Vergine of Carmelo. The old church was rebuilt in the first half of the XVII century and later expanded in 1890.The earthenware tile facade, in neoclassical style, is on three orders and surmounted by a tympanum. Four pilasters with Corinthian capitals characterize it together with a large painted lunette. The bell tower with cell brick in view is partly incorporated between church and rectory. ,then lt became a parish since 1833, on the initiative of Camillo Benso, Count of Cavour mayor of the town. The decorations are of Fedele Finati from Alba and allegories of Paul Gaidano, both dating back to 1895. The castle dominates the ancient village of Grinzane Cavour, and is isolated on a hillock detected from the ridge that descends from Diano d’Alba to the valley Talloira near Gallo, 5 km far from Alba. From the esplanade fronting the castle they can enjoy a wonderful view over the vineyards of Barolo. 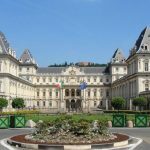 The importance of this building is dueto the bond with the statesman Camillo Benso Count of Cavour, who lived there between 1832 and 1849, a period when he was mayor of Grinzane’s municipality. 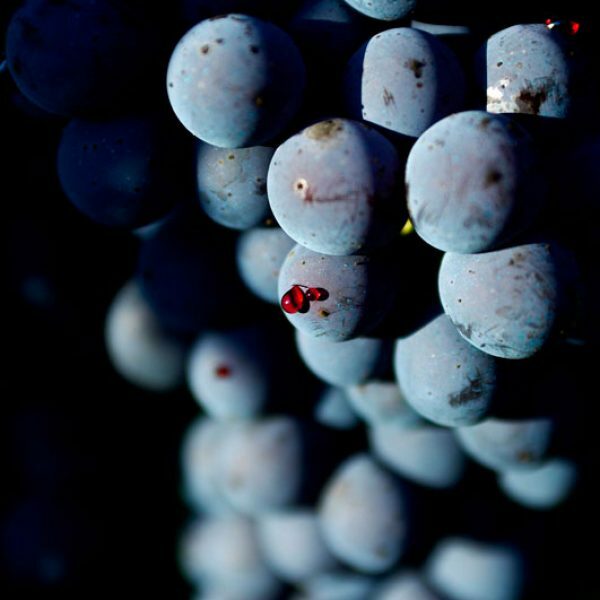 in these places he oversaw the first experiments to improve the technical production of Piedmontese red wines. The name comes from the ancient noble family de Grinzaneis, already attested by the middle of the twelfth century, to which can be attributed the commissioning of the first buildings of the castle, and the family of the counts Ber so of Cavour that, with the Restoration (since 1815), starts the purchase of the castle and its lands. The original structure consists of a central tower with a square base, where nearby, in the course of Three-Fourth century, you can find to the north a structure consisting of a parallelepiped palace, and in the south another sleeve characterized by the presence of hanging turrets. The two buildings are connected to each other by curtain walls. The central tower with square plan about 4 m side and a height over 20 m, is presented as a slender brick structure. The northern body consists of four levels, of which the lower one and the third are characterized by vaults, while the intermediate level has the sixteenth-century wooden ceiling of the Hall of Masks, built in 1547, and embellished by 156 reproductions of faces, heraldic coats of arms and allegories. The hall is now designed to accommodate meetings and cultural events and is available for public and private occasions. On the same floor are located the restaurant of the castle and the cafeteria. 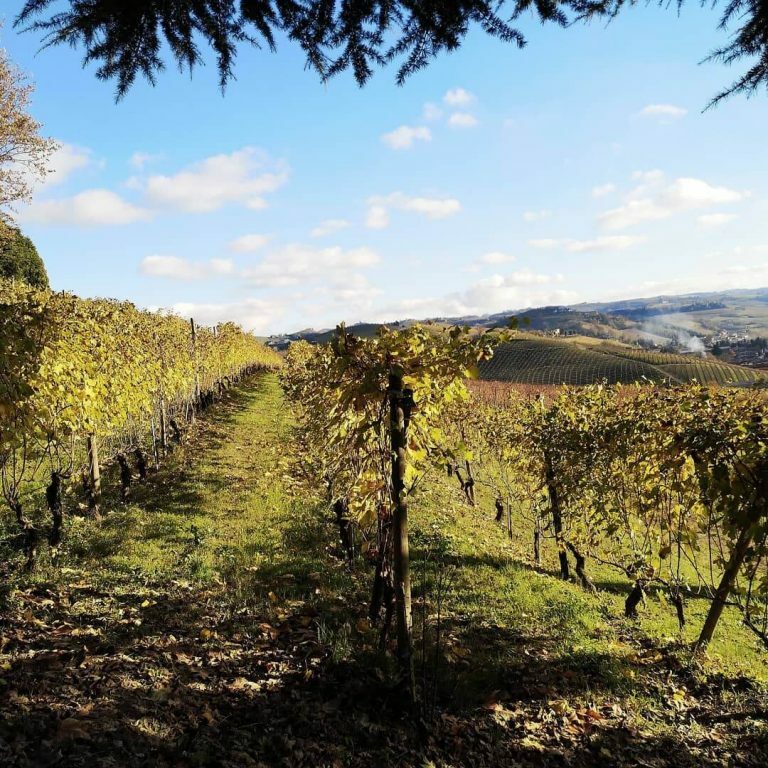 In the historic rooms dedicated to the Marquise Adele Alfieri of Sostegno, from which they can appreciate a charming view of the surrounding hills, you can find the renowned restaurant(about 70 seats). This restaurant is dedicated to the tasting of typical Alba’s dishes accompanied by local wines available in the wine bar. In the sixties of the twentieth century, on the occasion of the Unification of Italy’s centenary celebrations, important renovations have been implemented. Since 2010 a new underground construction , covered by a mantle of grass, prolongs the large square of the castle. The castle is now venue of the Enoteca Regionale Piemontese Cavour(Piedmontese Regional Wine Cavour) and the Museum of the Langhe. The Enoteca Regionale Piemontese Cavour (Piedmontese Regional Wine Cavour), established in 1967, was the first in Piedmont. 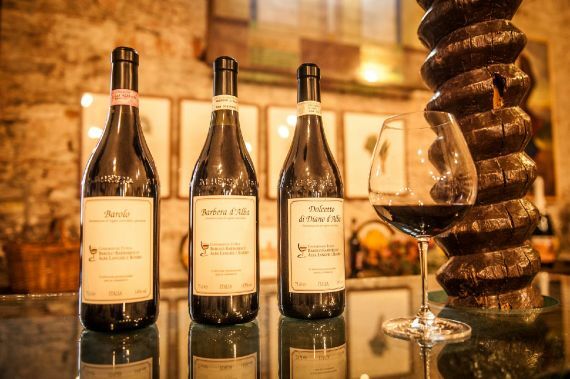 It represents a prestigious showcase of the best Piedmontese wines and grappas. Thanks to renewal and expansion of stands in 2007, undertaken on the occasion of the forty years of its foundation, a wide space was given to the presentation of Barolo and Barbaresco.The presence of DOC and DOCG wines is accompanied by a multilingual teaching of the vine varieties in Alba’s territory. The visitor, beyond being able to purchase wines, is invited to taste them, to compare labels and vintages. The wine bar also offers other local products of Alba’s territory: nougat, nuts, grappa and Barolo chinato. 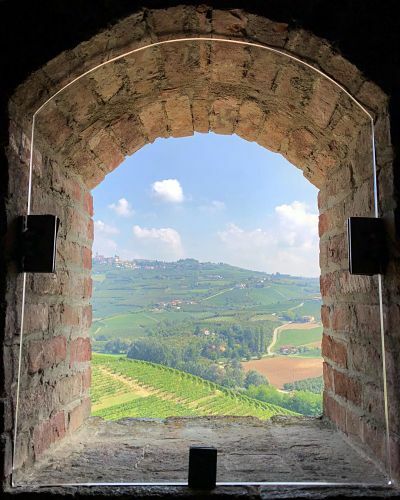 The Museum of the Langhe (Via Castello, 5) occupies permanently different castle’s halls, with a guided tour renovated in 2003, which aims to raise awareness and promote all territory, offering a museum of life and nature of the Langhe and Roero. 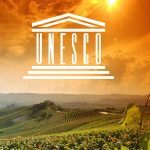 Currently the Museum of the Langhe includes outfitting about truffles, rare items of local wine and food tradition, the setting of Alba’s cooking of the seventeenth and the nineteenth century, the reconstruction of a distillery of the eighteenth century, the cooper shop and country activities. The museum tour starts from the castle’s wine cellars, where they can see the Hall of the Territory. On the second floor there are: the Hall of Cavour, the Halls of Wine and Truffle and the Ethnographic Hall “Luciano De Giacomi”, on the third floor, they can find the Country Hall. 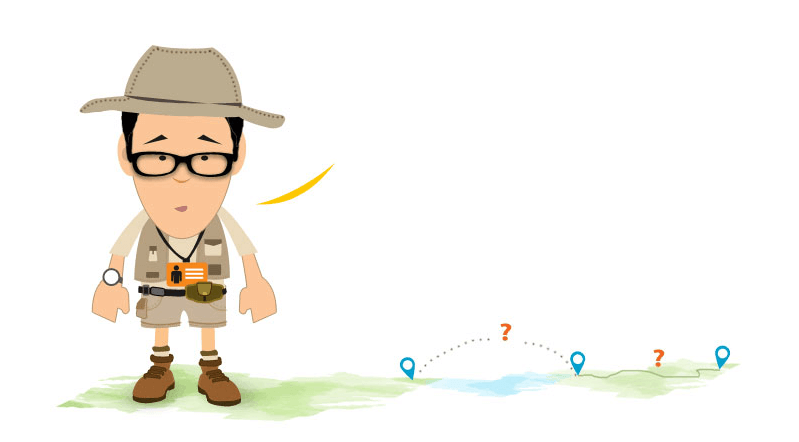 The multimedia means expand and enrich it with moving images. The Hall of the Territory presents a well-structured outfitting around an impressive wine press dated 1704 used for the grapes’ pressing.The land is illustrated in six large maps of Langa and lands of Roero. Proceeding in the route, you come across a video that shows the presence of the Count Camillo Cavour in the castle, highlighting his entrepreneurial vision in transforming the wine-making systems. In fad, on more than one hundred acres of land belonging to the castle, Camillo of Cavour planted 200,000 new grapevines.Thanks to the enological expert advice of the French Louis 0udart and of the General Pier Francesco Staglieno, enological consultant of Carlo Alberto and of the Pollenzo’s royal cellars, Cavour started the transformation process of the Barolo wine wick starting partially fermented, became an exceptional wine. In 1843 Cavour was rewarded by the Agricultural Congress of Alba for the modernity and efficiency of his farmsteads. Thanks to the results achieved in this field, in 1849 he was appointed Minister of Agriculture of the Savoy Government. In the museum is set up a room that preserves the statesman’s furniture, some manuscripts and the mayoral sash. In the Halls of Wine and Truffle (in the castle is held annually the World Auction of Alba’s White Truffle), the new museum dedicates a spectacular part to the finest products of the territory – white truffles and great wines – sounds, lights and a projection of images make the environment very attractive. 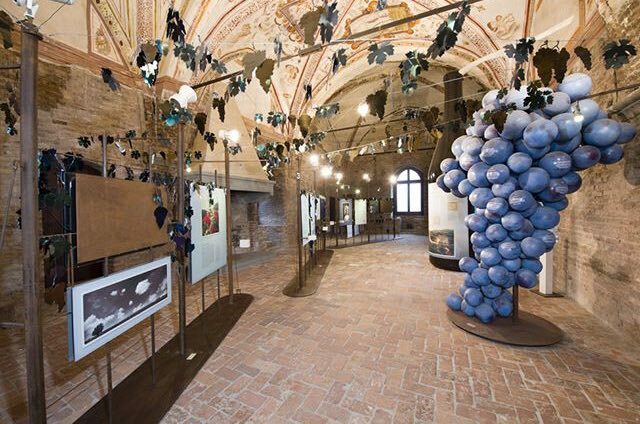 Through the exhibition you can become familiar with the historical, ancient, recent, widespread or rare vine varieties of Langhe and Roero. They are displayed on the territory map, and you can find the wines and their content on the labels. 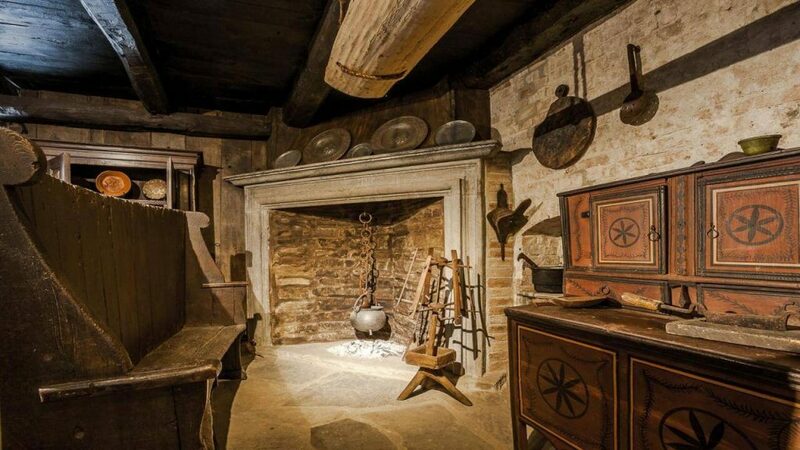 The tour ends on the third floor with the Sala delle Contadinerie (Hall of country life), where you can find the most significant places of peasant life: the farmyard, the basement and the storage closet for tools. The outfitting today has expanded the didactic description. The reconstructions of the cooper and blacksmith’s shops, together with the distillery, are presented as functional and complementary, though not exclusive, to agricultural activity. In the cooper’s craftshop, the tools are neatly aligned along the walls and the barrels in construction occupy the central space. The shop appears to the visitor alive and fully functional. The eighteenth-century distillery collects original stills, all equipments for production and the ageing of this pomace distillate. 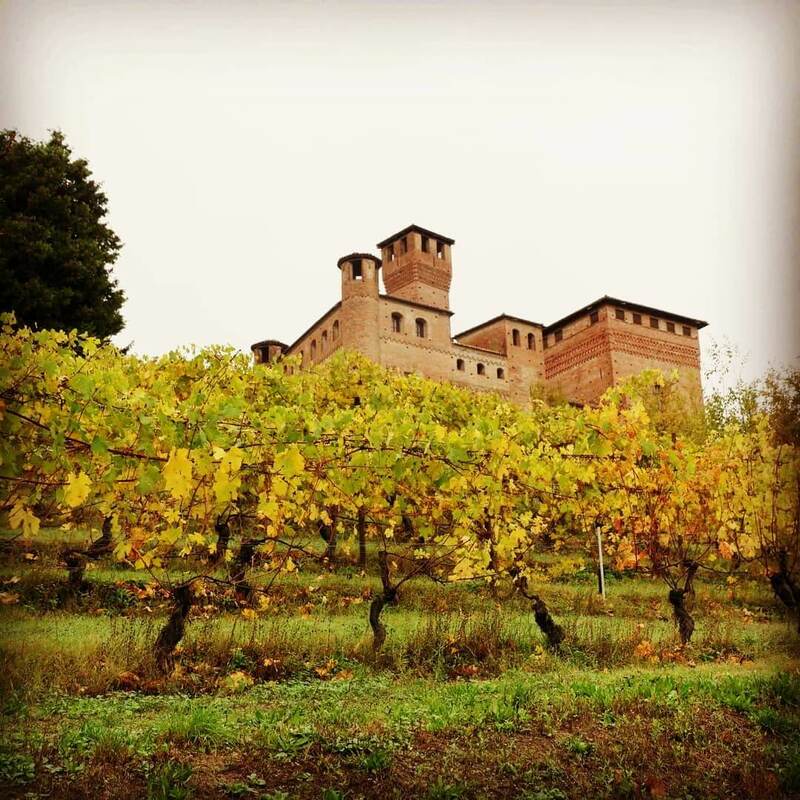 The vineyard located at the foot of the castle is an important research and experimentation center on the Piedmontese wine heritage and has one of the most wider collection of vine varieties at European level. The vineyard-collection was established in 1992 and renovated and expanded in 2012. 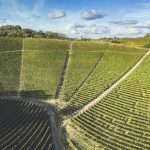 Today covers a total area of 2 ha and counts 750 accessions for a total of about 400 plantations of different grapevines. What to sleep in Grinzane Cavour?